Empire Property Management has collaborated with RentTrack a leader in rent reporting. RentTrack will report rent payments for residents to all three major credit bureaus. Residents can also view their credit score and profile. With Empire simply paying your rent on-time can boost your credit score. 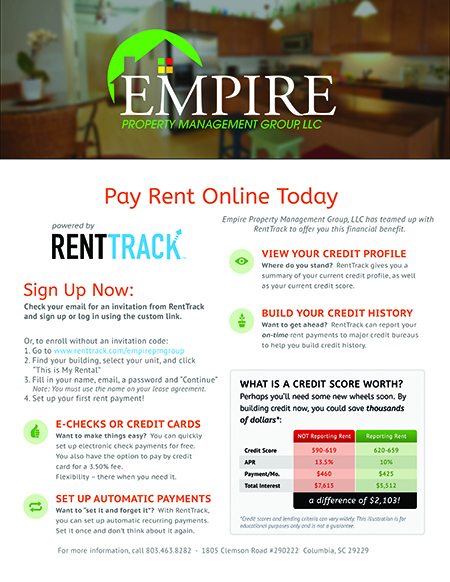 Pay rent online with Empire Property Management Group and get the credit you deserve!